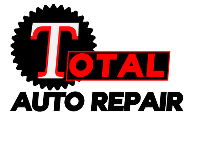 Total Auto Repair | Automotive repair, friendly service and great prices. Get the best service in the area. No hassles, fair pricing, right in your neighborhood. of combined years of experience. Check out our promotions page. You can find great deals. that your dealerships can get. We welcome you to our homepage. Our goal is to connect with our customers, and offer a level of care that has been lost in many other automotive repair shops. Conveniently located right in West Allis, Wi; minutes away from downtown and the freeway, we will work hard to take care of all your auto repair needs. We aim to get your keys back in your hands as fast as possible while maintaining a high level of quality. We work hard to guarantee your satisfaction and strive to provide a service worth coming back to. Our technicians are trained with the latest certifications.